Behind every great dryer is the Dryerbox. Merging the Dryerbox and DryerFlex allows your dryer to efficiently push air and lint out through your dryer ducts without crushing the hose. 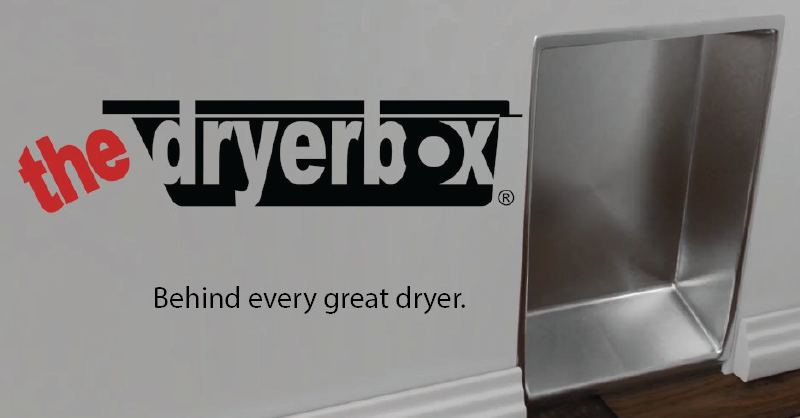 The Dryerbox, a recessed exhaust receptacle provides peace of mind since it is made from aluminized steel that protects against flame spread. An aesthetically pleasing laundry room is achieved by giving more space for the dryer to be pushed back to the wall without restricting airflow through the DryerFlex. DryerFlex is an outstanding example of innovation because it maintains its shape and is made of flame-retardant material. Maintaining a 4-inch round passage allows your dryer to perform at peak efficiency. Other hoses can't provide the same assurance.